The first thing I noticed about the PosterLounge website was the amount of options available - there are quite literally hundreds of thousands designs to choose from! It took me a long time to pick out the prints I liked the most, although the website made it easy to navigate through the selection. You can browse the designs using the different categories available, which include various art themes (such as still life, nature, portraits), art styles (everything from impressionism to art noveau) and artists. You also get to choose the size and the material of the print. These range from small, acrylic glass frames that you can put on your desk; to large, wall-to-wall canvasses. I was set on getting a landscape piece for our living room, and a couple of more abstract pieces for the bedroom. Of course, if it was just down to me, I'd decorate every room with cute, glittery pink Hello Kitty prints! However, since I am sharing the house with my boyfriend, I wanted to make sure that I pick out designs we'd both love. The order arrived promptly (despite travelling all the way from Germany!) and securely packaged. Right away, I was impressed with the quality of the prints - it is absolutely top-notch! 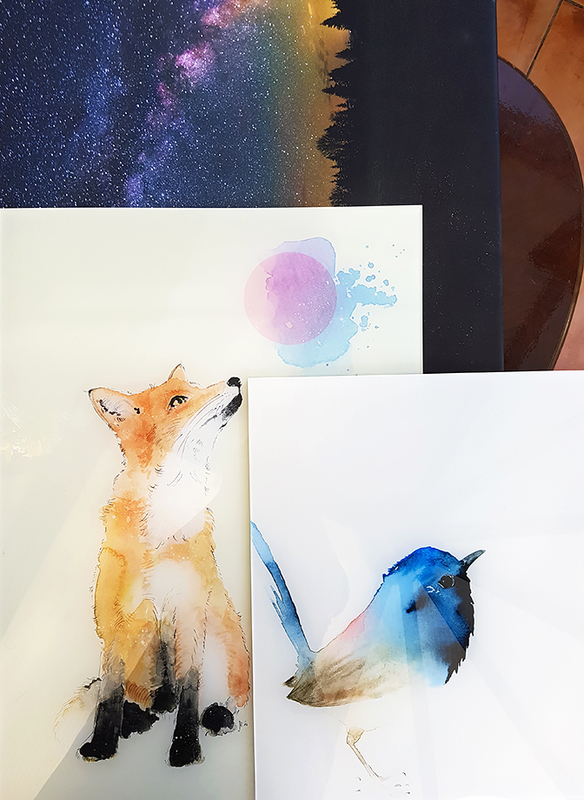 The two acrylic glass prints look so sleek and elegant, and I think that the animal theme is just so adorable (foxes are my boyfriend's favourite animals, which inspired the choice!). 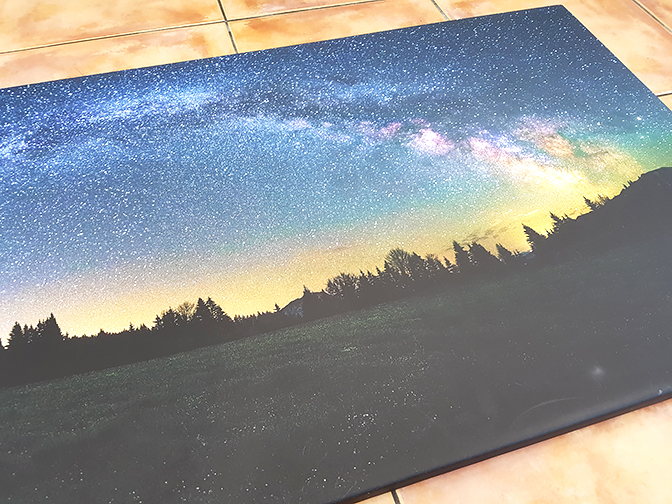 The dreamy night sky canvas ended up looking a lot better than I expected (truthfully, the website photos do not do it justice), and I was amazed with the quality and the amount of detail. The prints also come with easy instructions on how to mount them up, which was incredibly helpful. The only thing I will say is that these prints are a little on the pricey side, especially if you want to go for a larger-sized canvas. 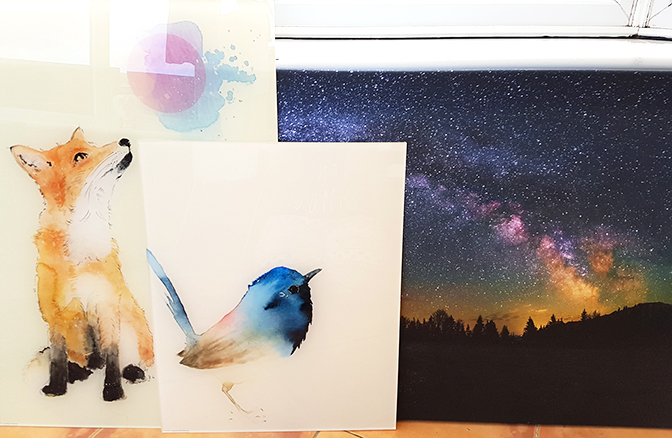 Having said that, the quality is the best that I have seen, and I love how much you can customize your order - you get to choose everything from the design itself, to the colour, size and material of your print.